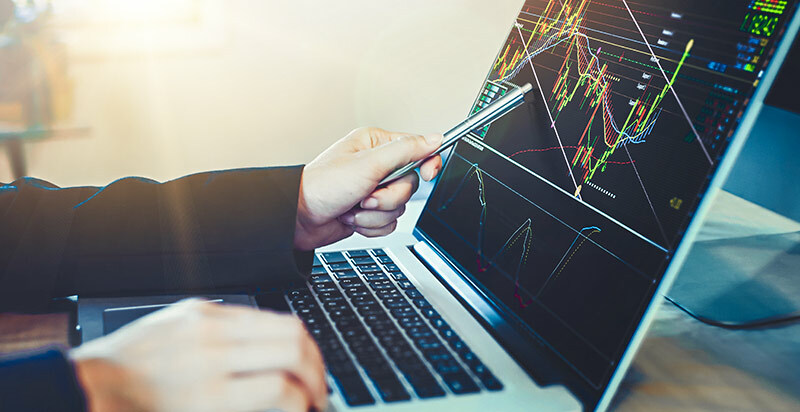 While July was certainly an eventful month in the forex market, August is currently setting up to become even more exciting. Among the things we have seen unfold over the past month is an intensified trade war initiated by president Trump, a sharply weakening Chinese yuan, a possible bottom in bitcoin prices, and a US stock market that keeps growing despite all the negative headlines we’re seeing. Let’s first start with a look at the stock market for some reference. Perhaps the most interesting chart this month is the S&P 500, which has now reached a level not seen since the big correction that occurred around late January and early February of this year. The S&P 500 is still respecting the diagonal channel it has been trading within for months. 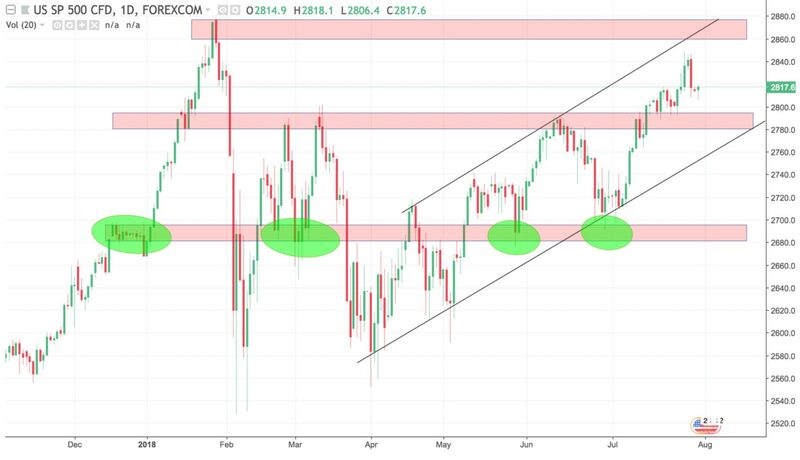 At the current levels, we find support in the $2,780 to $2,790 area, while resistance to the upside is found around the all-time high level from late January of $2,880. Gold has fallen a lot over the past month, and we may see even lower prices in the month of August. The price is right now consolidating in what is still a down trend on the medium term. 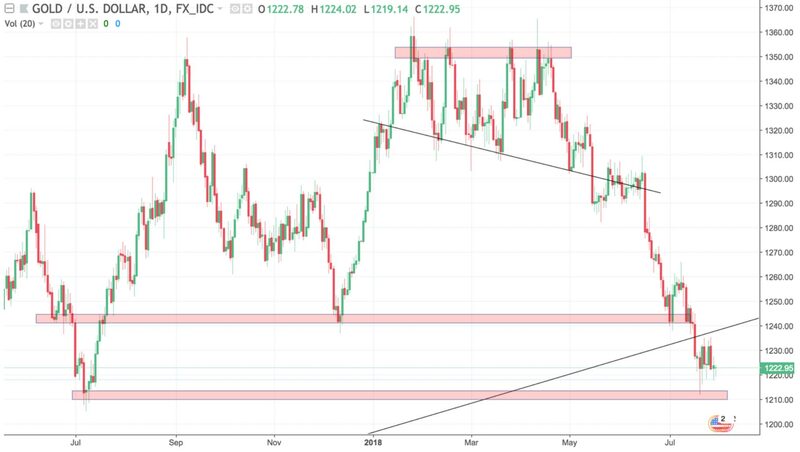 Having already broken down through the black trend line in the lower right corner of the chart, the next support area is now found around the $1,210 level. However, we can still say that the longer-term uptrend is intact if gold can find support at the next level during the month of August, although that will take us down to levels not seen since July last year. 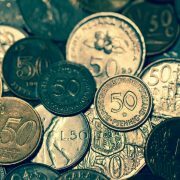 The New Zealand dollar is showing signs of having finally found support against the US dollar. 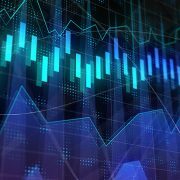 The currency pair has been trading in a consolidation pattern for the entire month of July, and may be gathering momentum for a burst higher. For this pair, however, it can be helpful to take a look at the longer-term weekly chart in order to understand the bigger picture playing out here. 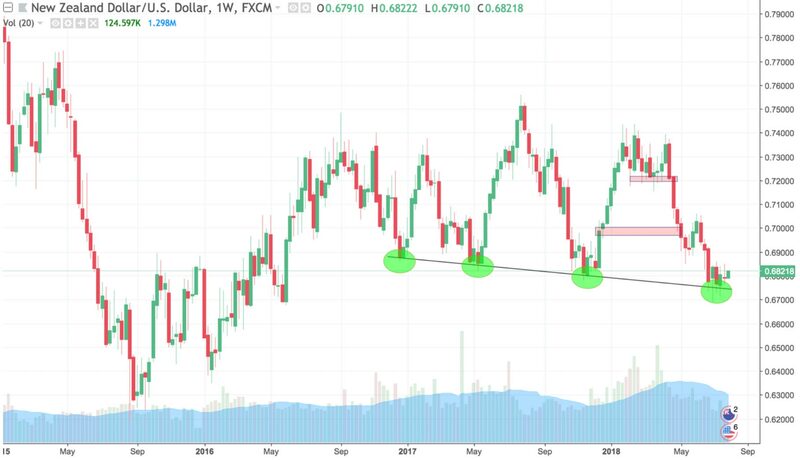 From this chart, we can easily see that the kiwi/greenback is now consolidating right around the same trendline that has provided strong support several times in the past, offering an attractive long-term buying opportunity at the current levels. Be prepared for strong price action higher once the price breaks out of the current consolidation pattern. 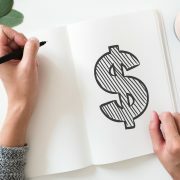 The US dollar has remained firm against the Aussie dollar over the past month, despite trading at relatively high levels. The greenback moved up sharply between June 15 and 19, blasting through resistance levels market by previous tops in the market. 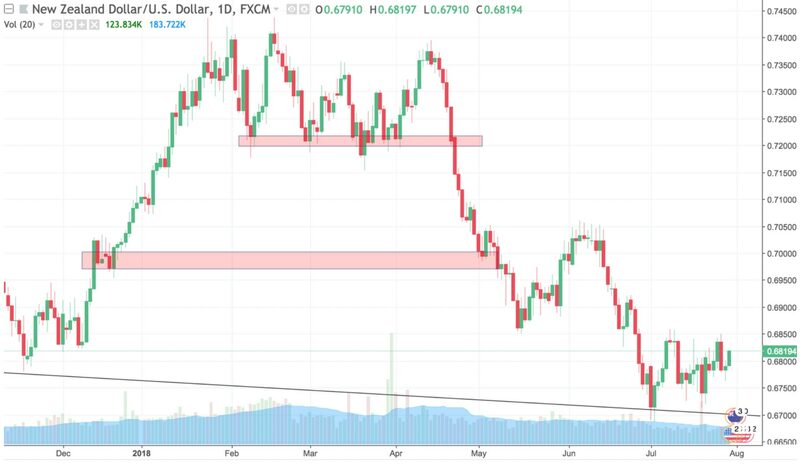 USD/AUD is now trading in a range roughly between 1.34 and 1.36, and best thing we can do right now is just to wait patiently in order to see where this market is headed next. 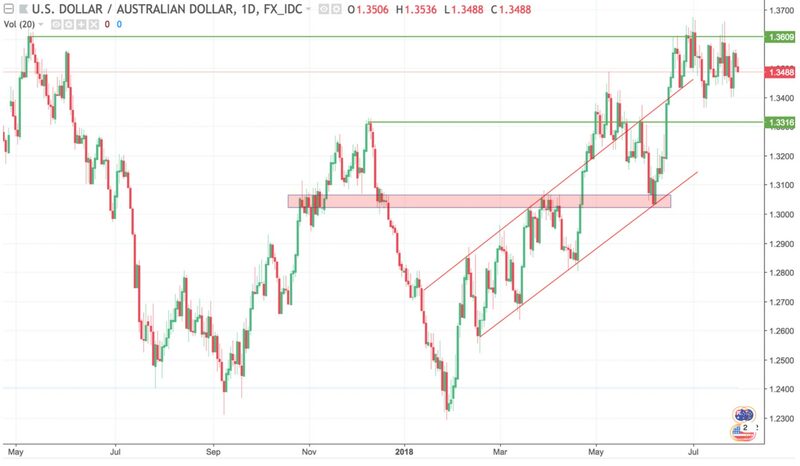 As of now, there is no clear indication as to whether the US dollar will break out to the upside, or if it will fall back towards the support levels found at 1.33 and 1.30. 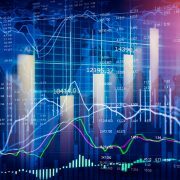 A turning point for bitcoin? Though not directly related to forex, many traders like to follow the bitcoin market, sometimes just for the fun of it. And truth be told, there are a lot of good lessons to be learned by watching the price action in bitcoin. 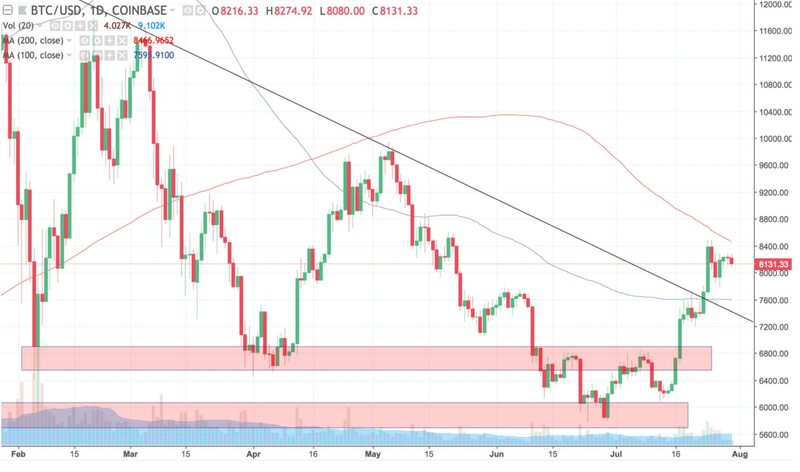 Bitcoin broke above the declining black trend line this past month, and is now consolidating in what could be the beginning of a new uptrend. For confirmation that a longer-term uptrend is forming, traders could wait for the 100 and 200 day moving averages (indicated by the red and blue lines on the chart) to converge. 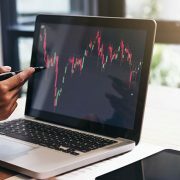 With few institutions and no central banks at play, cryptocurrency markets in a sense offers price action trading and technical analysis in its purest form. And with bitcoin now seemingly forming a bottom, watch how the trend evolves as we take out the next price levels. It appears obvious that the market has now matured since the crazy days of late 2017. 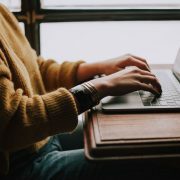 As we have stressed many times before, the forex market offers plenty of opportunities for traders who know the small and simple things too look for. Basic strategies based on price action such as support and resistance zones and trend lines still work beautifully well in this market, in particular when you compare it to more unpredictable and volatile markets like crypto! Enjoy your summer and trade safely in August!